A Room With A View (1985). 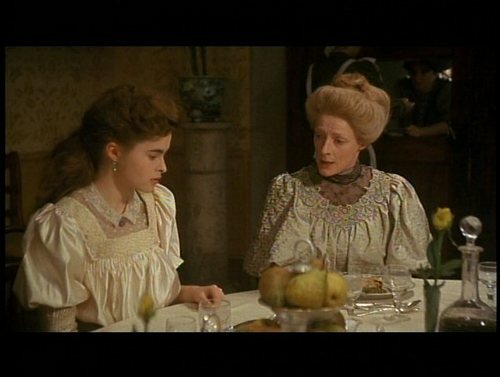 1985 film starring Helena Bonham Carter, Maggie Smith and Judi Dench.. Wallpaper and background images in the Period Films club tagged: a room with a view 1985 film helena bonham carter screencap period films. This Period Films Screencap contains brasserie. There might also be tanda, poster, teks, and papan tulis.